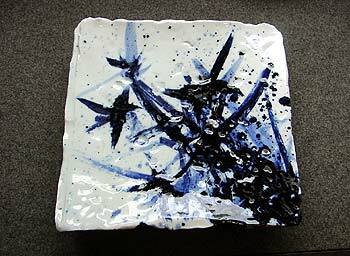 <EXCERPT> With 20 years behind it, ceramic art and craftwork magazine Honoho Geijutsu (The Art of Fire) has gained tremendous respect from lovers of Japanese pottery. In their 77th issue, Honoho Magazine asks 82 ceramic art critics, art scholars, journalists, gallery owners and collectors to vote for "twenty (living) ceramists you think represent Japanese ceramics today." Without an inkling of objective criteria for analysis or standardization, Honoho Geijutsu has allowed the critics free reign to determine the parameters of assessment and to evaluate, as they see fit, who represents "Japanese ceramics today." Such an affair can predictably fall ill to ambiguity or prejudice. Click name (when available) for more on that artist. Click thumbnail image (when available) for larger photo. With 20 years and 76 issues behind it, ceramic art and craftwork magazine Honoho Geijutsu (The Art of Fire) has persevered to educate, inform, and sharpen the public eye on the beauty of Japanese ceramics. 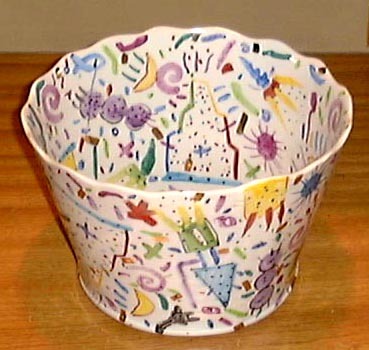 Without question, the tremendous respect it receives from all people privy to pottery is well deserved. Now onto their 77th issue, the people behind Honoho have decided to pat themselves on the back with a retrospective of sorts. Not quite. 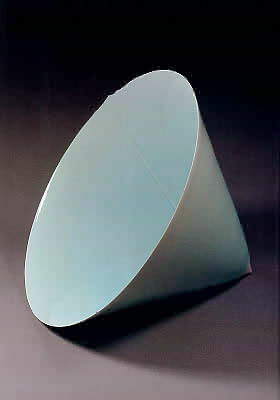 What does preoccupy the intelligentsia over at Honoho is the current place (or pedestal) Japanese ceramics rests upon. Where have we been? Where are we now? And where are we going? These intriguing questions ring throughout the stale air of a conference room wherein three commentators -- a museum chief curator (Todate Kazuko), a museum chief researcher (Karasawa Masahiro), and a prominent gallery owner (Kuroda Kusaomi) -- discuss the predicament of Japanese ceramics today with the chief editor of Honoho (Matsuyama Tatsuo). 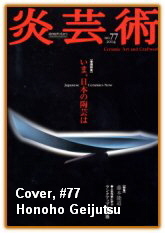 Such is the cover article: a sprawling, sometimes confusing four-player interview that sheds some, but not much, light upon the current state of Japanese ceramics. Please allow me to mention from the forefront that Mr. Kuroda, the gallery owner and art connoisseur, has my complete and humble respect for his candid insights during that interview. Furthermore, Honoho asks 82 ceramic art critics, art scholars, journalists, gallery owners and collectors the rather broad question of voting for "twenty (living) ceramists you think represent Japanese ceramics today." Without an inkling of objective criteria for analysis or standardization, Honoho Geijutsu has allowed the critics free reign to determine the parameters of assessment and to evaluate, as they see fit, who represent "Japanese ceramics today." 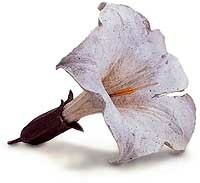 Such an affair can predictably fall ill to ambiguity or prejudice.  For example, one art journalist voted for artists only from the Kansai region. 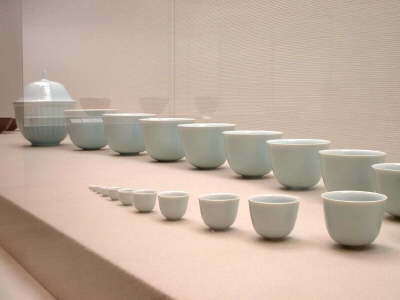 A museum chief voted for only conceptual ceramic art. 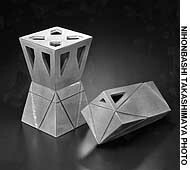 Another journalist based his votes on technique: a collector, solely on functional wares. Living National Treasures are excluded from the voting, as they "represent what the Ministry of Culture has chosen." Perhaps we are not to long for more exacting standards of assessing art and its artists. Similar to the criticisms posed at the infamous USA Today American College Rankings, rankings often exhibit more hype than credibility. Yet, we common folk love the glamour and mystique (and parsimony) behind a simple list of who's who, something that smack on tells us who's hot and who's not- and needless to say such lists sell like hotcakes. Yet the point is this; if one is going to do a ranking at all, why not have it in a uniform format with intelligible standards for evaluation? Anything less leads not to a vivid depiction of the current state of Japanese pottery, but to a muddied quagmire of thoughts, pots, and potters. This plea in no way necessitates numerical evaluation. Quantification can oft be an empty intellectual affair, whereas empathy and sincere opinion oft tells tales from the heart. Yet something a bit more is wanting, lest we sacrifice integrity for mere popularity, trend setting, or academic name-dropping without valid justifications. That said, there is much to commend about the rankings, with only a few questionable positions or votes. The list lacks shock value, and many a name can be seen in which heads will nod in agreement. This is a good thing. 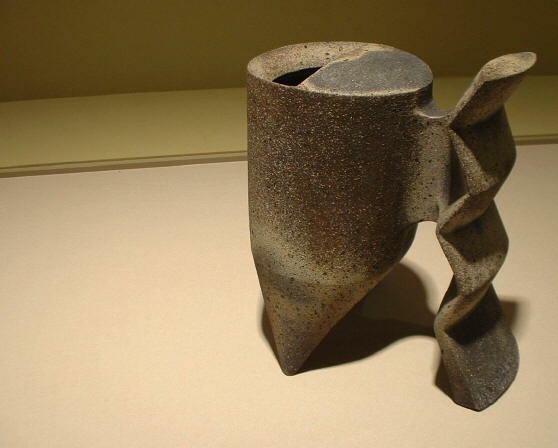 However, striking is the fact that Honoho Geijutsu's "list of 109 artists representative of Japanese ceramics today" appears to favor potters of modern sculptural/conceptual ceramics over functional, 'traditional' ceramists. This emphasis on the current vogue towards an "international" style of pottery seems to trump or usurp the position and importance of some potters who make pots in a "traditional heritage" style unique to Japan. Upon first glance, the list seems to suggest "conceptual/sculptural" is analogous to "contemporary". I have no qualms with loosening the odd and suffocating form of "nationalism" that some attach to traditional styles of Japanese ceramics. 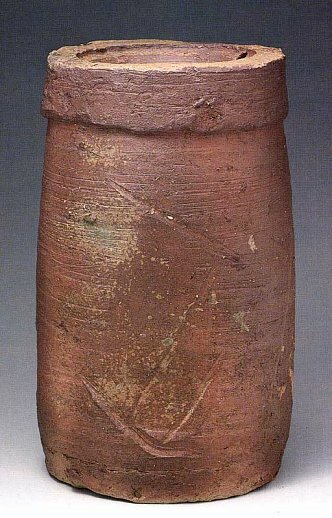 With the progression of the modern day and age, it is only inevitable that Japanese ceramics and their ceramists must move along with it, lest we risk degradation over evolution. Potters can try to revive Momoyama Bizen, but what makes such revivals valuable in the eyes of the contemporary ceramic art scene is the fact that their products are not simply carbon copies of ancient styles, yet are exciting, innovative, and from the heart. There is no doubting the fact, however, that there is a strange convolution of the two aesthetic concepts of 'the traditional' and 'the contemporary.' 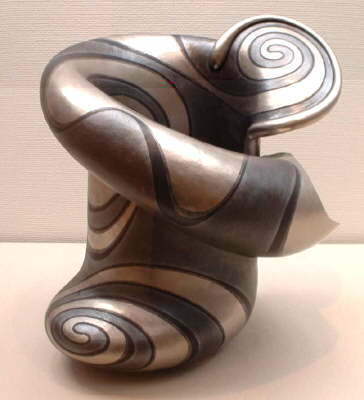 Perhaps the confusion between such superficially antagonistic ideas, especially within Honoho, best illustrates the fact that we Japanese might not be quite certain as to what it means to be "Japanese" - and furthermore, what is actually embodied by the phrase "contemporary Japanese pottery". Perhaps it can be said that Honoho's article does not elucidate 'Japanese ceramics today,' but rather elucidates a more philosophical question of identity. Or is the phrase simply a matter of semantics? Porcelain sculptor Fukami Sueharu tops the list with 46 votes, with an amazing 24 votes from art critics, academia, and journalists (numero uno in this category), while gaining 22 votes and third place from gallery owners and collectors. This comes as no surprise, as Fukami's talent is not only internationally recognized, his edgy 'ceramic sculptures' are the pinnacles of both originality and technique. Next on the list is Koie Ryoji, the tremendously popular 'noble savage' who never fails to surprise the art world with fresh forms and techniques that not only shock but also impress upon the heart. Third is the 15th generation Raku Kichizaemon, a spirited potter who fires the convention-restricted Raku style teabowl with flair, experimentalism, and a contemporary feel- quite simply, chawan for the modern age. 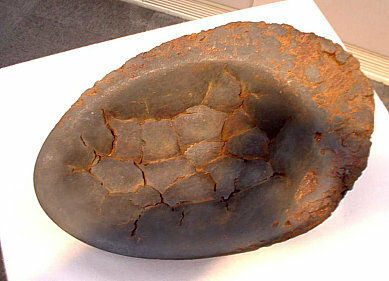 Fourth is ever-popular Bizen potter Kakurezaki Ryuichi, whose fresh forms burst onto the Bizen stage with a fashionableness that enraptures all who lay eyes upon his art. Tied for fifth are Mori Togaku and Takiguchi Kazuo. 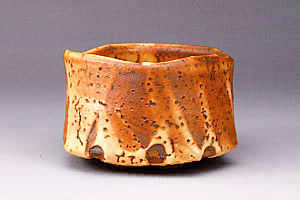 The former is the Bizen master who has invested his life towards not simply recreating the grandeur of old Momoyama Bizen, but making Bizen with traits that only Togaku can achieve; the latter, a sharp, Kyoto potter who is captivating audiences with his sleek, organic, even intellectual wares. Without question, the top positions are a lucid representation of the past, present, and future of Japanese pottery. These potters' contributions to the contemporary ceramic arts world are profound, not only for making keen ceramics, but for being innovative, imaginative and actively pursuing a higher level of ceramic art. They are recognized today, and will be remembered tomorrow. Yet if one looks closely at the two separate categories (if simply split between critics and fans), one may notice that something is slightly amiss. 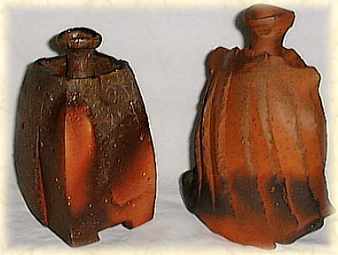 The opinions of the critics and fans, regarding some ceramists, largely diverge at times. One example is Suzuki Goro. He does not appear amongst the top thirty artists recognized by art critics, academics, and journalists. Odd, I thought. But when looking through the votes from gallery owners and collectors, Suzuki Goro receives as many votes as Kakurezaki, and rightly so. His contributions to Seto wares, be it Ki-Seto, Oribe, or Shino, are astonishing; on top of that, his 'Los Angeles Oribe' and large stacked boxes, as well as wobbly chairs, are not only original and new, they embody a "modernism" that is on par with Kakurezaki, Koie, and Raku. Yet if so, what explains this wide rift in the recognition of Suzuki amongst "critics" on the one hand and "fans" on the other? Various reasons can be entertained. Suzuki can be aloof to events where the art mafia kick out their cocktail suits. 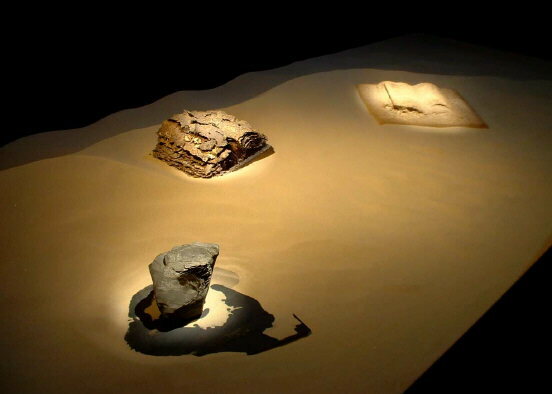 Another is that Suzuki always leaves an element of functionality to his works, while Koie's works can be conceptual installations or sculpture: the critics give more points to conceptual ceramic sculpture as opposed to functional ceramics. Another is that the above reasons should not really matter at all. They do not focus on the actual art, yet on exposure or "trendy-ness." In other words, potters who: 1. Do not do something totally conceptual or abstract, 2. Do not pucker up to the pundits, and 3. Who just churn out good pots that are recognized by lovers of pottery, can't seem to garner enough respect from the art mafia, who hunger for fads stripped of tradition. They want shock value. 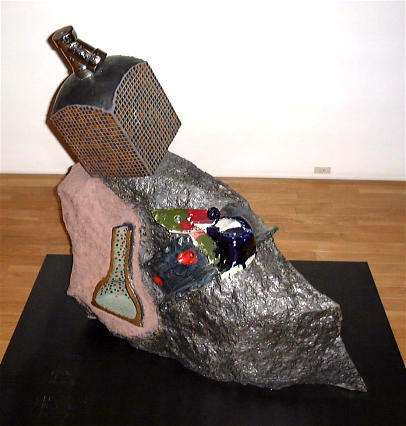 But what is shocking is the fact that the pundits do not understand that such conceptual art is not superior or inferior to traditional/functional art, but are equally representative of the current ceramic art scene in Japan. 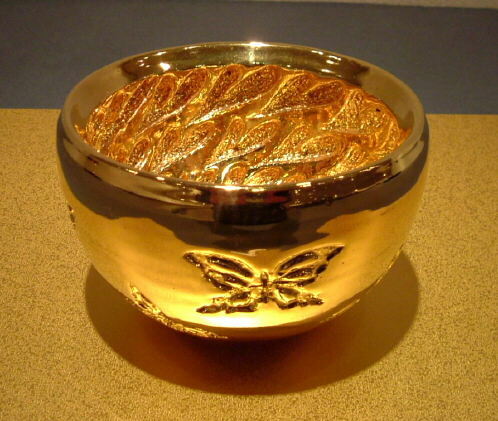 Other notable omissions from the critic's list are porcelain potter Kawase Shinobu and Shino expert Yamada Kazu, while Shigaraki master Tsuji Seimei and chawan champion Tsujimura Shiro are in a surprisingly low position. Ranked higher than expected were the likes of Nakamura Kinpei, Miwa Kyusetsu XII, and Kiyomizu Rokubei VIII (also spelled Rokubee). Another major reason is the influence of Kaneko Kenji, Chief Curator at the National Museum of Modern Art, Tokyo. 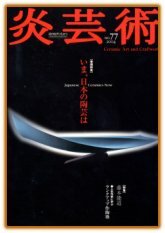 Ten years ago in the cover article of Honoho Magazine issue 40, Kaneko produced an "encyclopedia of contemporary ceramics", which was, at the time, revolutionary in its aggressive advocacy of conceptual ceramics. 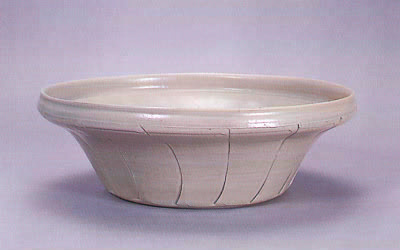 In that 1994 issue, Koie, Fukami, and several other potters still influential today were mentioned. Yet at the same time, many of the potters he handpicked do not show up in the 2004 Ranking. As such a state of affairs illustrates, what is important is picking artists that will be truly relevant 10 years from now, rather than jumping on the precarious bandwagon of trends and fads. I believe the art mafia may be confused as to what "contemporary" means. Contemporary means "the present day, the current, the modern". The word does not contain the evaluative labels of "avant-garde, sculptural, conceptual or non-functional". If given the former definition, it becomes evident that the critics do not see what is happening in the art world today. Rather, through myopic vision, they only see what is happening in museum galleries, books, and in theory. In the interview, numerous times can the art mafia be heard explaining their focus on pieces that "look good in museums"- something meaning large, cerebral, conceptual pieces similar to sculpture. 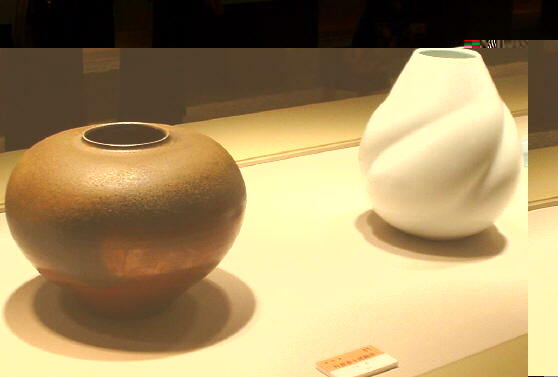 Unfortunately, their eyes do not reach what the masses are actually touching and seeing, or what the many ceramic artists of Japan are actually doing. 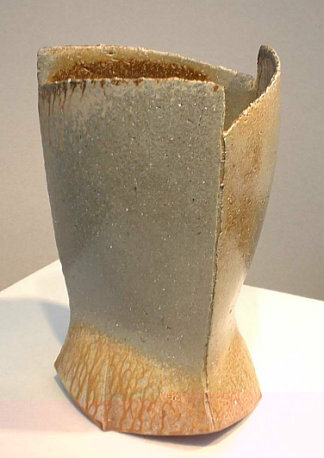 One pundit states that "contemporary artists must control the clay into the forms they envision", although Tamba potter Ichino Masahiko, a talented potter ranked in the top 30, has personally said that, "ceramists must communicate with the clay, not try to force or manipulate it." The schism, then, occurs because the critics not only cannot grasp the hearts of the potters themselves, they also subtract the traditional from the contemporary. Such boundaries should NOT be built. Liberal-minded pundits pay lip service to the fact- that both contemporary sculpture and traditional are on an equal and level playing field. 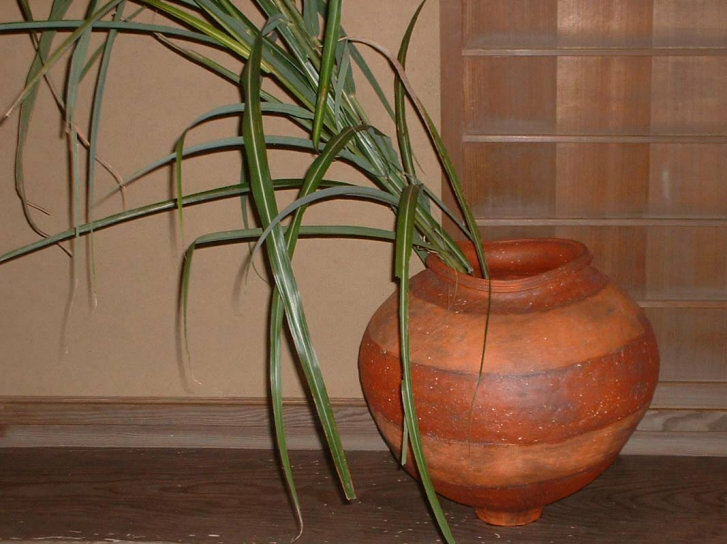 Yet such pundits featured in the interview, as well as in interviews and articles from similar magazine rankings, claim revivals in traditional pottery are copies: that such pots and potters lack an air of originality or link with the modern age. This is a bit worrying. 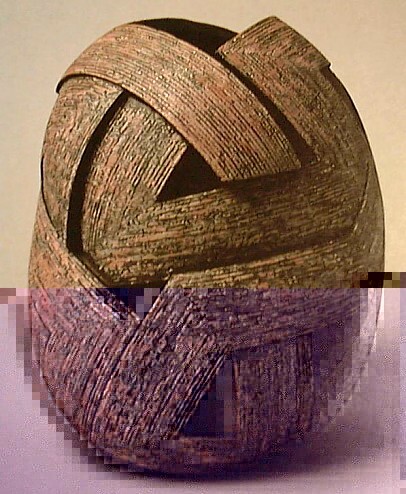 They further suggest guardians of the traditional hold a superiority complex against the contemporary: one criticism being that contemporary potters are lacking of technique. 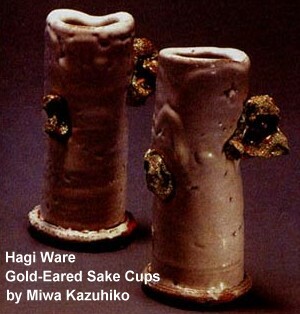 Of course, potters of Bizen and Shino revivals, such as the late Kaneshige Toyo and Kato Tokuro, are far from mere copycats; at the same time, it is obvious that modern potters are not lacking of skill at all- the 12th generation Miwa Kyusetsu fully illustrates this. Pigeonholing or simple generalizations fail to grasp the realities of the current ceramics art scene in Japan. But why must they clash? 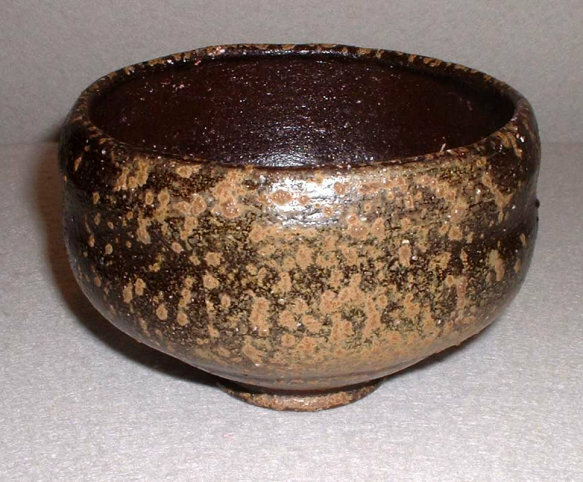 Why cannot Mori Togaku's Bizen revivals, along with Suzuki Goro's Seto and Mino wares, play on the same field as any avant-garde potter? Why must we punish or knock down the old for the new, or the new for the old? I am not certain if the pundits intentionally divide the contemporary from the traditional, as they do often allude to the importance of traditional potters. Visa versa, I am not certain if the collectors and gallery owners intentionally put down conceptual works. The ideas do not only conceptually co-exist: they actually do co-exist. Both critics and collectors who sincerely love pottery should see the parity. 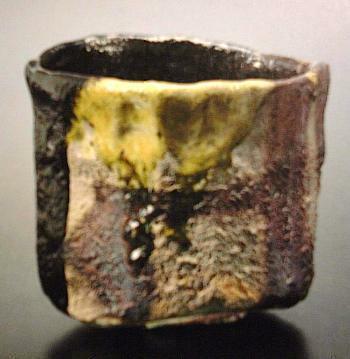 There is equal artistic value to Tsujimura Shiro's Ido-chawan as much as there is artistic value to the modern works of Akiyama Yo. One cannot say one is superior or less representative of the present age. 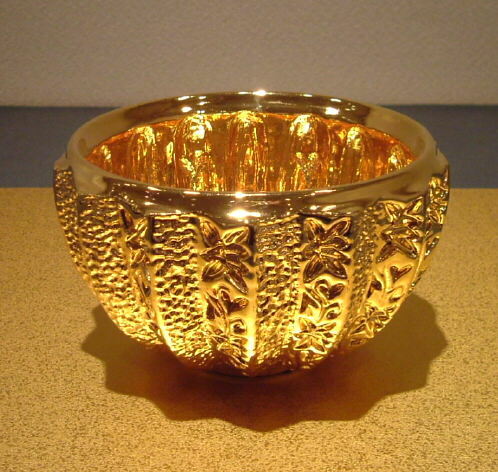 Rather, they equally represent Japanese Ceramics Now. Perhaps this schism is created unconsciously, as their tastes might taint their objectivity. I will like to give the academic intelligentsia the benefit of the doubt, as this poll is not an indication of anything more than that: tastes. Yet one curator mentions that when arranging an exhibition, she first contemplates if the artist's art will "look good" in a museum of ceramic art. 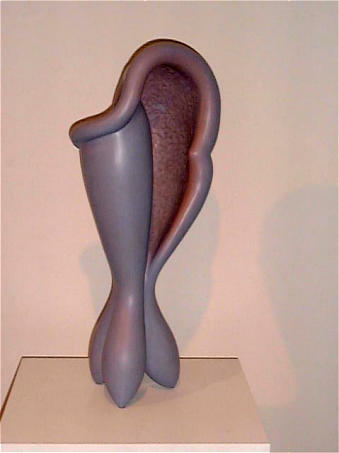 Is she suggesting large installation pieces, or ceramic sculptures meant to be gazed upon and not touched? Another curator says when he thinks of tradition, he thinks of revolutionary. Revolutions often suggest something new whilst discarding what came before it. Further, the exclusion of Living National Treasures is also evidence of a conscious decision to eschew tradition and traditional masters. Of course, the Living National Treasure system is often times questionable in regards selection process and what it stands for, yet this should not be a reason for excluding them from the ranking. Again, a separation between the traditional and the contemporary takes place. In many ways, I am left with the impression that the critics see pottery as a means to an end, rather than being the end itself. 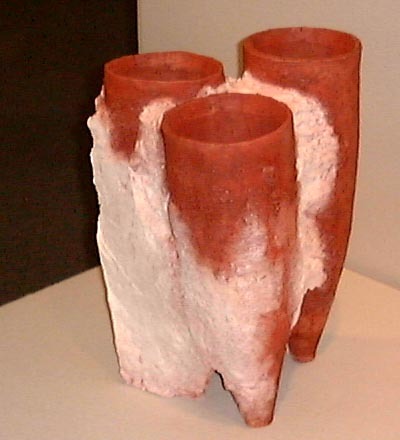 It is almost as if they are actively pursuing the elevation of pottery to a higher art form- something akin to paintings, installation art, and sculptural art. 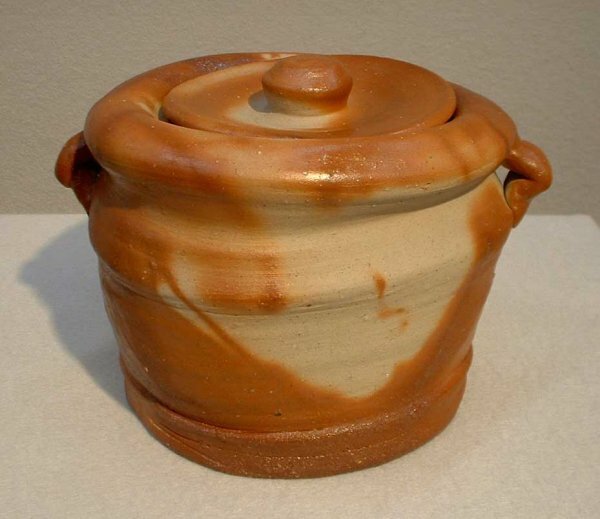 They are ambitiously seeking to further the respect and self-esteem of ceramic art in the art world, yet they seem to ignore the fact that most potters and pottery fans don't care about the categorization of their pottery- as long as they make quality pots, labels don't matter. 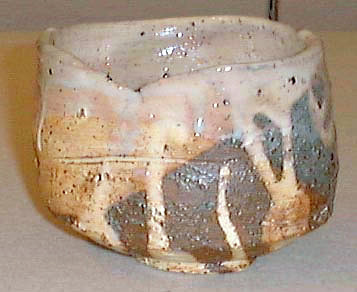 What is important to remember is that every single potter ranked fire clay to form a particular art- the art being yakimono. And in yakimono, both the contemporary and the traditional are the same entity. There is unity. There is virtue in both. 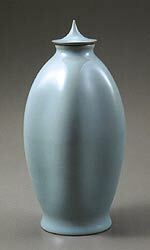 Separating functional from non-functional is only confusing the essence of what ceramic art is all about. 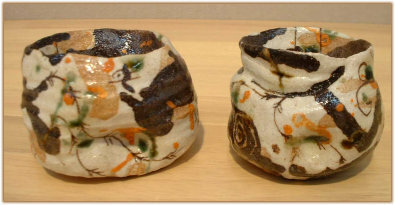 And likewise, we should not be blinded by the cosmopolitan sentiments of advocating an "international" style of yakimono without keeping in mind what it means to be a Japanese potter with Japanese sensibilities. An artist who forgets where he comes from is lost. And at the same time, one cannot appreciate the new without understanding the past. By accepting the past, one can take the step forward. My ultimate conclusion is this. Honoho's article, rather than exhibiting "Japanese Ceramics Now," actually does well in exhibiting "the politics and preferences of art critics of the modern age." Of course, the viewing and interpretation of yakimono is far from sacrosanct. All can inject differing opinions and emotions into a pot. I only hope this divide will not tear us apart.